This form is to be completed by those participants in the Pop Warner program that have not met the National Scholastic Requirement of 70 percent and/or 2.0 Grade Point Average (GPA) at the time of certification. This form must be accompanied by a progressing progress report or report card to be eligible for play after the October 18, 2013 deadline. That report must be dated between Sep. 13, 2013 and Oct 18, 2013. Each year, the most academically accomplished Pop Warner kids compete for Academic All-American status. This process begins at the association level and up through each of the eight Pop Warner regions to the national level. 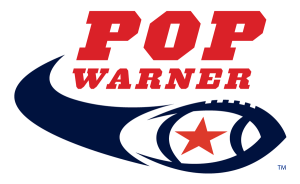 In 2011 over 400,000 kids participated in Pop Warner. As our numbers once again reached record levels, a record numbers of All-American Scholar applications were once again submitted to us…more than 9,700 applications!